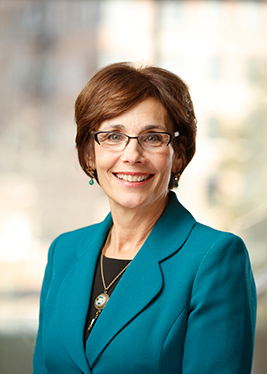 Lydia Rotondo was named associate dean for education and student affairs in 2015 and continues to work as the director of the Doctor of Nursing Practice (DNP) program. As associate dean, Rotondo works closely with program directors, faculty, and students to meaningfully respond to emerging educational needs to meet the health care workforce demands of the future. A graduate of the DNP program at Vanderbilt University, she has directed the school’s DNP program since July 2014. In that role, she has focused on promoting collaborative scholarship among doctorally-prepared nurses and encouraging interdisciplinary teams to employ evidence-based practice, information technology, and critical quality and safety appraisals of the health care environment. Rotondo’s professional roles have included surgical critical care staff nurse, nurse manager, nursing supervisor, nurse consultant, administrator, clinical nurse specialist, and nursing faculty. Rotondo’s areas of scholarly interest include formation of DNP clinical scholars, practice epistemology, and collaborative practice inquiry, and she has published and presented locally and nationally in these areas. Rotondo serves as deputy Title IX coordinator for the University of Rochester School of Nursing. She is a member of Sigma Theta Tau, American Nurses Association, American Association for the History of Nursing, American Conference of Academic Deans, and the Organization of Nurse Executives and Leaders.